It's incredible! We've just surpassed the five-hundred backer mark as we approach 36 hours left on the Epic Clock and are veering spectacularly close to hitting the stretch goal of dice bags for all - like, three pledges away from it. 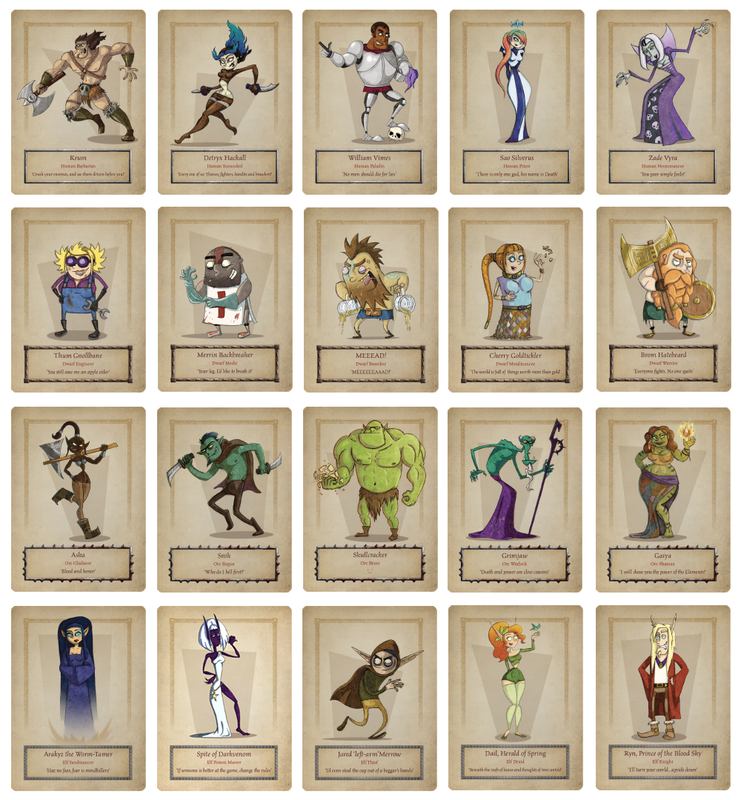 To celebrate, have a little peek at the characters you'll get to play with when Epic Death! lands on your table! Also, in case you're feeling flush and fancy immortalising you and your friends in the world of Epic Death!, the two top level pledges are now open again. The Crystal Skull Party Pack will give you an exclusive new set of five unique adventurers for you to use in your game, based on... well, whoever you like! We'll also put together a special party group shot using the artwork and placing the characters right into the world of Epic Death! If you're interested, this is a very limited opportunity, so get in quick! Thanks to you all for your incredible support... let's see how far we can push this over the final day and a half!